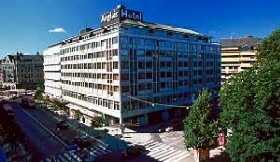 This hotel is located in Stockholm fashionable ostermalm neighbourhood, around the corner from the Stureplan entertainment district. 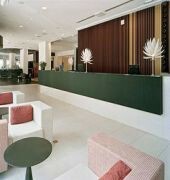 Gym access and bicycle rentals are free, while the rooftop bar provides city views during summer. 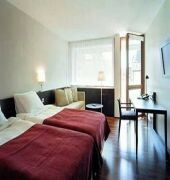 All rooms at Scandic Anglais feature cable TV channels, wooden floors and modern decor. Free Wi-Fi is available throughout the building. 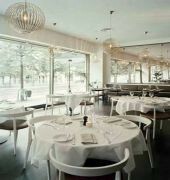 Guests can enjoy 101 energising breakfast options, 24-hour Fairtrade coffee and classic Scandinavian dishes made from fresh, locally sourced ingredients. Bar 101 overlooks Humlegarden Park and hosts live DJ sets. ostermalmstorg Metro Station is 300 metres away, just 2 stops from Stockholm%u2019s Old Town.